Have you ever found yourself wishing for an easy way to duplicate a video feed? Like maybe you’re having a cookout and you want the TV set by the grill to show the same programming as the one in your house? That’s just one example, but you get the point – you need an easy way to duplicate a video feed. 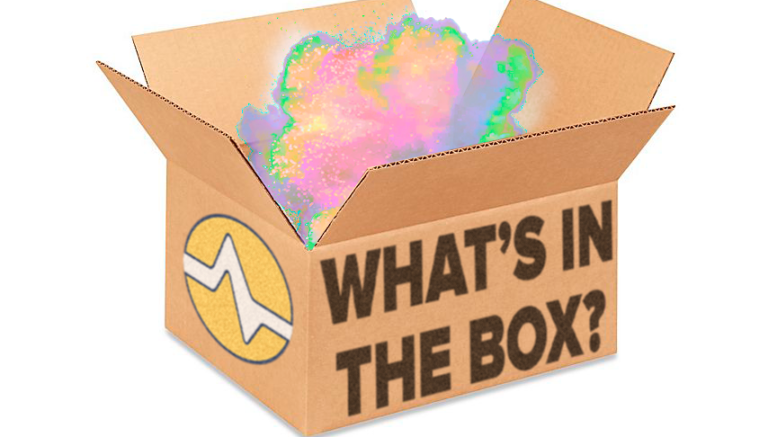 This week’s mystery product does exactly that! It’s affordable, easy to use, and works with a variety of media. Do you think you know what it is? Tradeshows, where you need to share your company message on two TV screens. Presentations to help partners and prospective clients see what you’re looking at on your laptop. Sporting events, cookouts, and other get-togethers where you have TV sets in two different rooms or areas. Games that utilize VR goggles. This allows everyone else to see what you’re seeing through the goggles. I wish I would’ve had this HDMI box when I worked at another company many years ago. We attended four to five tradeshows a year, and we ran company videos at our booth. Since we didn’t know how to duplicate a feed, we only had one TV at the booth. This caused a crowd to gather in one particular spot to watch it. This conglomeration of people made it difficult for others to get through the aisle, which was not appreciated by vendors, attendees, and the event’s promoters. If we had only known about this HDMI splitter, we could have sent send signal to a second screen on the other end of our booth to help thin the herd. You know what’s the great thing about this HDMI hub? It’s one of those products that most people just know they need. Not only that, they tend to have a specific idea what they need it for. If you’ve made it this far, you’re probably already thinking of how you could use this HDMI splitter. It could be one of the ways listed above, or something complete different. That’s the real value of this HDMI box. Another great thing about this splitter is how easy it is to install and use. You’ll love it’s simple plug-and-play installation. Solid Signal is proud to carry this HDMI hub by Tech Choice. If you’re someone who needs to split nearly any kind of digital signal and send to two receivers, this could be what you need. One thing is for sure, this HDMI hub continues to be a very popular product here at Solid Signal. This device is one of many HDMI splitters that we carry. To be absolutely sure you’re getting the one that’s right for your installation, give our product experts a call. They’ll ask you a few questions and recommend the best HDMI splitter for your installation. You can reach us at 877-312-4547.